A dripping faucet wastes approximately 7 gallons of water per day and more than 2500 gallons per year. Frisco Plumbing Pro provides affordable repair to leaking faucets in the Frisco area, so you can avoid high water bills and conserve our most valuable natural resource. A compression faucet comes with two handles for hot and cold water supply. Each handle is equipped with a valve that lets through water when turned on. The valve stops water flow by compressing a rubber washer (also known as a seat washer) located on the valve's base. Dripping compression faucets are usually caused by faulty washers that cannot be fully compressed by valves to stop water flow. Also known as a washerless faucet for lacking a rubber washer present in compression types. 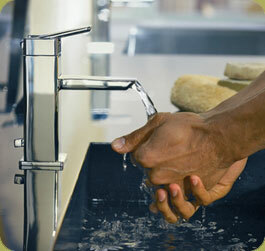 Cartridge faucets are equipped with one or two handles, and a cartridge feature that regulates water flow. One handle types move up and down to adjust water flow, and left and right to control temperature. Two handled units operate similar to compression faucets but stop water flow without compressing washers. 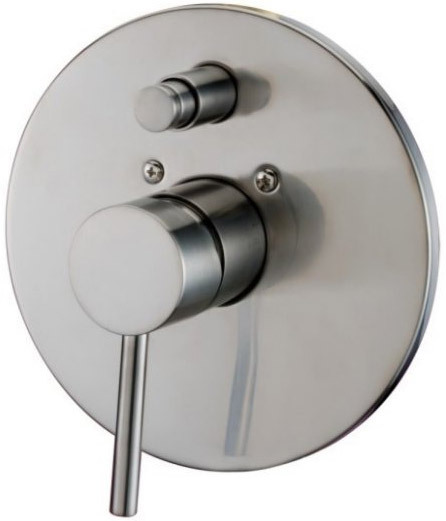 Another type of a washerless faucet, a ball unit has a single handle attached to a round base with inside chambers to regulate and mix cold and hot water supply. A washerless type faucet of cylindrical form and a single handle. This faucet contains ceramic discs that slide over each other to regulate water flow and temperature. If you choose to do-it-yourself, always start by closing the water supply to the faulty faucet in order to stop unnecessary water beads falling down the drain. Be sure to do your research and have all of the parts and expertise necessary to complete the job. Of course, if you need some help, Frisco plumbing is happy to take care of all your faucet repair and installation needs. You may want to consider an upgrade to a modern decorative faucet. Alongside their technical function, fixtures can be highly aesthetic and decorative objects. You can order beautifully designed bathtubs, sinks and faucets from plumbing fixtures manufacturers. You can even order the fixtures online, and have them delivered to you and installed by us. Frisco Plumbing Pro offers the highest of certified plumbing services in the Dallas area. 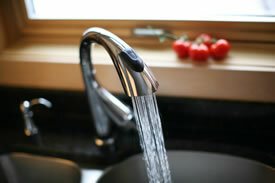 We also understand the inconvenience a leaking or dripping faucet can present to your day to day life. We are always committed to ensure our practices are current with the latest industry developments and plumbing services and products. Distillation – heats water until it evaporates. Contaminants are left behind and vapor condenses into substantially pure water. Reverse Osmosis - water is forced under pressure against an ultrafine semi-permeable membrane so fine as to allow only single molecules through, rejecting most contaminants. Carbon Filters - When water flows through carbon filters, contaminants adsorb or stick to the surfaces of the carbon particles. Call today for the Frisco plumber that specializes in water filter maintenance, repair and installation. A: Some faucets are simply made better than others with higher quality materials such as solid brass or a mixture of brass and plastic. There are also two different grades of brass, yellow brass and red brass with red being the most durable of the two. There is also a difference between brands on the quality of the internal parts used. All of these differences help to determine the superior levels of appearance, performance and durability. Q: My faucet “clunks” when I turn it on. What causes this? A: 99% of the time when you hear a clunk in any pipe when you turn a faucet on/off - it's a loose washer in the faucet. When you take it apart, be sure you get the old washer and a screw. If you don't - turn the water back on and flush out the missing part. Another, possible cause is water hammer, which should be diagnosed by a professional Frisco plumber. Q: What is meant by a "pressure–balancing" tub and shower faucet? A: A pressure–balancing tub and shower faucet balances incoming hot and cold water pressure to compensate for fluctuations in water flow. Balancing the water flow keeps shower temperatures constant and comfortable, within ±3°F (1°C) of the original temperature, despite other demands such as flushing the toilet or starting the dishwasher. If you are interested in upgrading to a pressure balancing faucet give us a call. Q: Do the Touch Sensitive Kitchen Faucets really work? A: The Delta Touch Sensitive Faucet (Update: this product has been discontinued) works very well when installed correctly. As you can imagine, this faucet is expensive as faucets run and is really more of a novelty or luxury than necessity. One thing to remember with this type of faucet is that the temperature you have the valves set at will be the temperature the water is dispensed at. In other words, you may need to adjust the temperature by touching the faucet anyways. Q: The water pressure in several of my faucets seems to have dropped. What should I do? A: If you are experiencing pressure issues in more than one faucet, then the faucets are not the problem. Faucets are the most obvious areas where water pressure problems occur in a home. To determine the problem, we recommend you contact us for a diagnosis and estimate to correct the issue. Q: The pop up stopper on my lavatory faucet will not stay closed. How do I fix this? A: This is a simple fix for any homeowner. Under the sink above the trap you will find where the pop up mechanism goes into the drain line. There is a small nut that holds the lever in place. By simply tightening that nut you will fix the problem. However if you over tighten, you will not be able to move the mechanism at all. Call Frisco Plumbing Pro today at (972)332-3926.